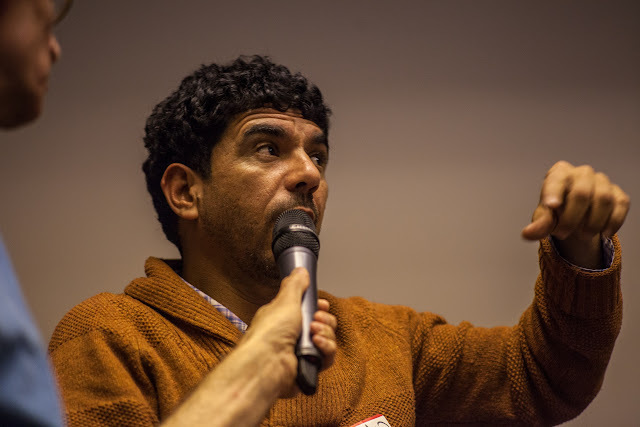 Earlier this year, Sulaiman Khatib, a Palestinian peace activist and co-founder of both Combatants for Peace and the People’s Peace Fund, spoke at the Struggling with Peace symposium in Vancouver, BC. He shared a story of how approximately eight years ago, construction of the wall encroached on his family’s land, destroying their precious olive trees. 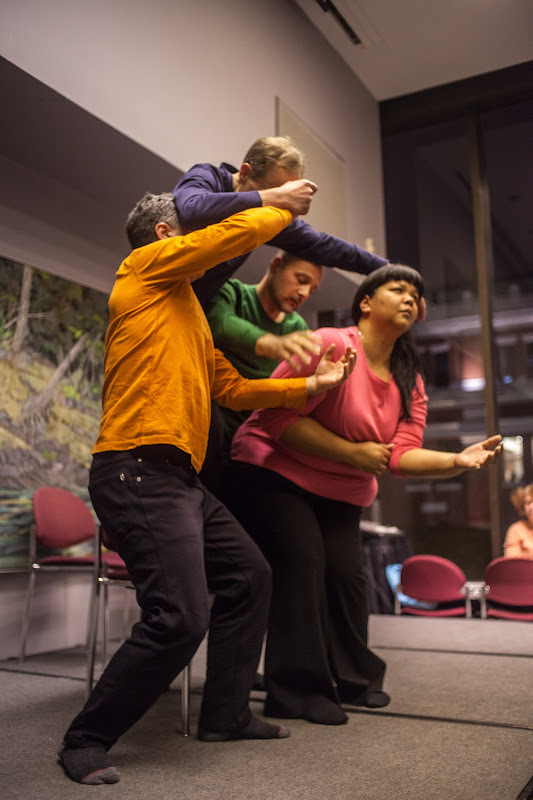 As a local improve theatre troupe re-enacted Sulaiman’s story, the room was captivated by a kind of collective, empathetic experience. After the event, audience members told us they were deeply affected by hearing Sulaiman’s story. For some, it offered greater insight into life under occupation, and thus, better understanding of the conflict. In this op-ed published earlier this year on the Jewish Daily Forward, Mairav Zonszein emphasizes the importance of Israelis learning about life under occupation, and illustrates how public opinion in Israel is so disparate, partly because very different experiences result in two distinct groups of Israelis: those who have seen the realities of occupation, and those who have not. “Most Jewish Israelis will admit the occupation is bad, but few have ever gotten a taste of what it feels like to be anywhere near the receiving end of it,” Zonszein writes. Understanding the occupation is key to developing empathy, she adds, and witnessing the occupation is crucial to dismantling stereotypical or inaccurate perceptions about it. She writes that an American friend of hers thought reports he had read about Israel and the occupation were far-fetched, until he spent time in the West Bank and saw the realities firsthand. A similar eye-opening experience occurred during Peace it Together’s summer dialogue and filmmaking program in 2011. Before arriving for the program in Vancouver, participants were asked to create short videos capturing life for them in their homes. A video by one of the Palestinian participants opened with a long pan of the separation wall, before the camera turned to the young man himself, standing just feet away from the wall, on his back porch. 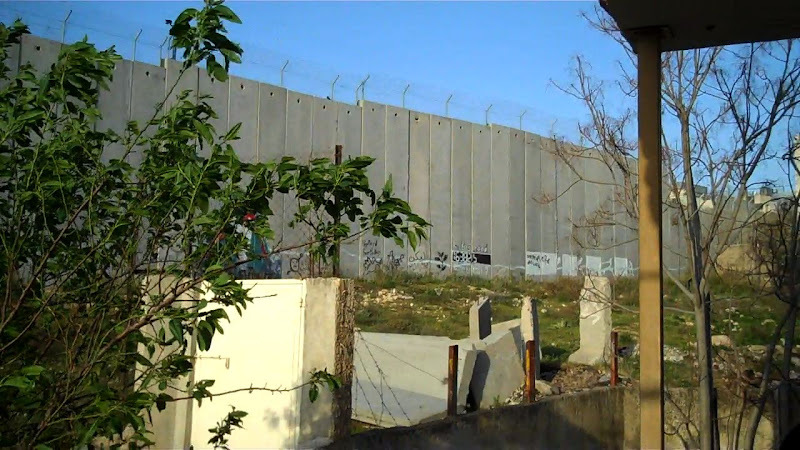 When this video was shared with the participants in the program, an Israeli remarked that before seeing it, he thought stories about the wall running through Palestinians’ property were just “propaganda.” Meeting a Palestinian and seeing his own footage of the wall’s invasive and foreboding presence, made him realize it was, in fact, a reality. Given the separation between the two groups (both physical and psychological) it is not often that Israelis have the opportunity to hear from Palestinians about how the occupation affects their lives. And yet this experience, as Zonszein argues, is crucial if the 'two sides’ are to understand, empathize, and connect with one another. This kind of honest dialogue helps adversaries better understand each other’s daily realities, that they might focus their attention on key issues, and take action together to change them. Rutie Atsmon, an Israeli peace activist, co-founder and director of Windows: Channels for Communication, explained how her program deals conflict-related issues, like the occupation, head-on. These kinds of environments create opportunities for both Palestinians and Israelis to speak their truths, and engage in heavy, sometimes uncomfortable conversations. Difficult as they may be, this kind of dialogue is crucial if both sides are to truly understand and value each other’s needs, and create the foundation for a just and secure peace. Do you belong to an organization that offers peace-building programming for Palestinians and Israelis? How do you explore issues related to the occupation in your program? Have you participated in peace-building activities for Israelis and Palestinians. How was the occupation discussed in that space (if at all)? What about the approach worked for you and what didn’t?